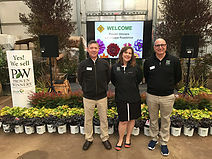 Proven Winners recently held their 2018 plant introductions at Matsuda's wholesale nursery in Sacramento, showcasing their newest annuals, perennials and shrubs. Sort of like a car show, but only for plant nerds…well, ok, professional landscapers...and plant nerds like myself. Based in Michigan, Proven Winners chooses plants based on flowering, growth habit, disease resistance and overall garden performance…but only after they have successfully grown at trial gardens throughout the country, including here in California. 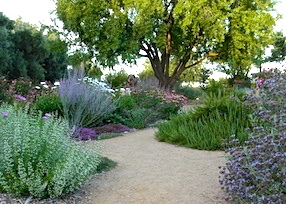 These days, gardeners are getting more smiles out of having a pollinator garden within easy view of a patio or window. 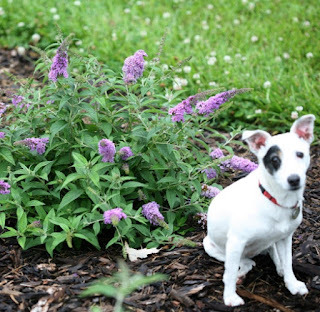 Plants that attract bees, butterflies and hummingbirds are at the top of the list. Galli says it only takes a combination of three or four different, long-blooming plant varieties to make a pollinator-loving gardener happy: salvia, lantana, butterfly bush (buddleia) and verbena. • The lantana variety “Luscious”. Flower colors come in a wide array, including shades of fuchsia, orange and yellow, blooming from planting until a hard frost. This lantana gets about 18-30 inches tall with a spread of about 20-30 inches. • Lo & Behold buddleia. 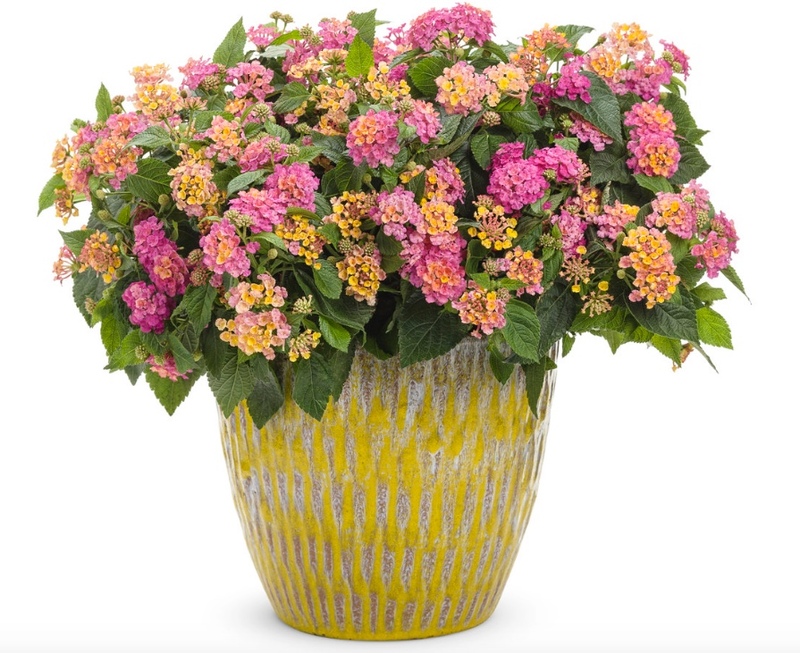 “This low growing butterfly bush variety is very showy and reliable,” says Galli. “Its smaller size (18-30 inches) makes it a great border plant, with flowers from summer through early fall. 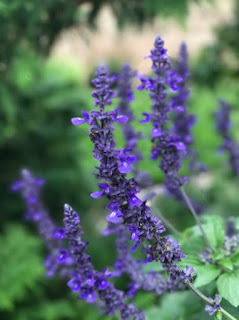 It attracts so many butterflies, it looks like an airport in front of our house.” Flower colors include blue and purple. • Playin’ the Blues salvia. No California pollinator garden would be complete without an unthirsty, hummingbird-loving salvia variety. “Playin’ the Blues” attracts bees and butterflies as well, with blue-purple flowers that reach for the sky on a 24-48 inch plant. This salvia variety doesn’t produce seed, so it has a very long bloom season, possibly throughout the year if there’s a mild winter. 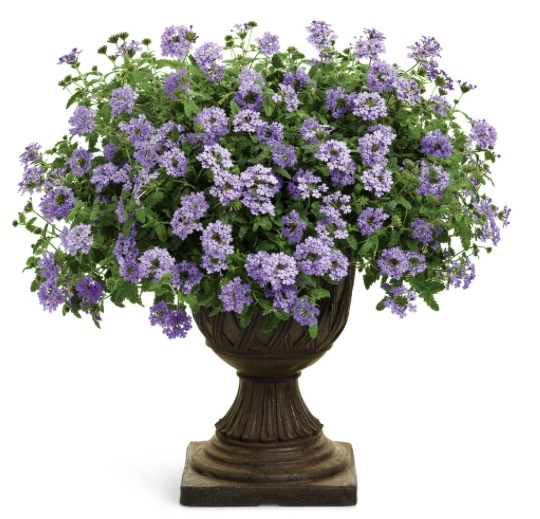 • “Royal Chambray” verbena. This low-growing (6-12 inches), long blooming (April to October) verbena variety needs little pruning or deadheading. It has a mounding habit to attract butterflies to its purple flowers. The plant spreads about 24 inches. • Make it look like a neon sign to attract the attention of hummingbirds, bees and butterflies. Mass each variety together in a sizeable area, about four feet by four feet, or more. • Everybody needs water. 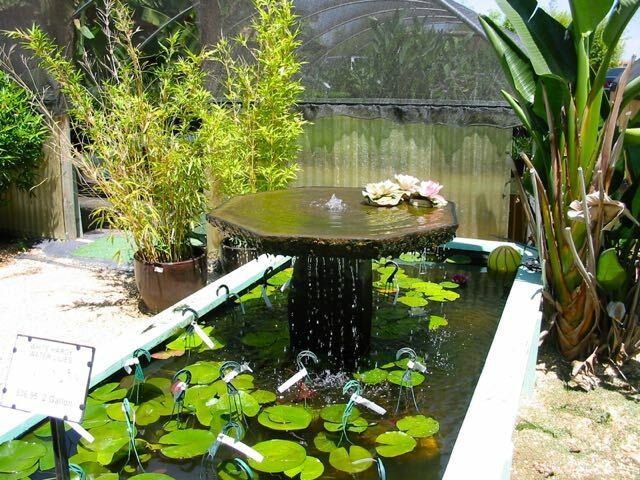 Install a water feature in your pollinator garden. It could be as fancy as a recirculating fountain, or as simple as a pan with water. Put that water feature in an area where predators (cats) can easily be spotted by hummingbirds.